Daveswordsofwisdom.com: Have faith things will work out. 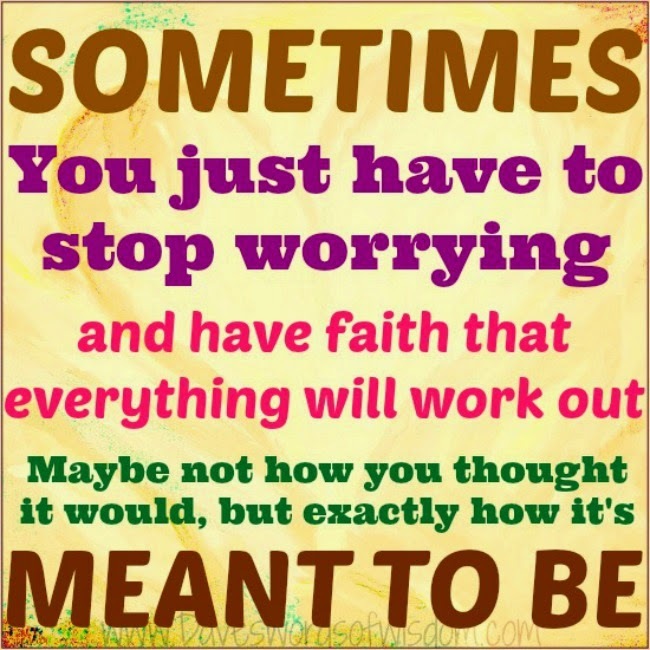 Sometimes you just have to stop worrying and have faith that everything will work out. Maybe not as you thought it would, but exactly how it's meant to be.